In early 1893, a group of prominent members of the American marine community convened to sign articles of incorporation for what would become the Society of Naval Architects and Marine Engineers. Fast forward to 2018 and SNAME is now a global organization, representing those involved in all aspects of maritime activity. In a world that has seen immense changes since that fateful day, SNAME remains committed to progress for the organization. Grounded in our historic roots we continue to build for the future. Our mission of advancing the theory and practice of naval engineering enhances the careers of our members, forging bonds of professional camaraderie that last a lifetime. In 2018 and beyond, SNAME powers ahead towards another 125 years of excellence. 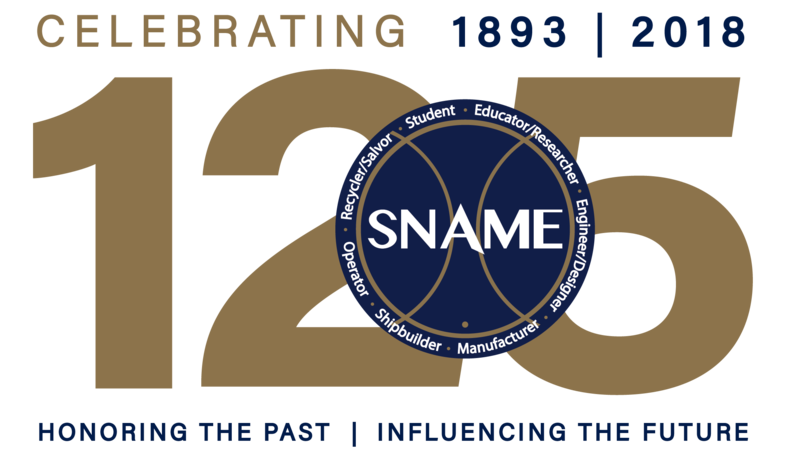 SNAME125: Honoring the Past, Influencing the Future.